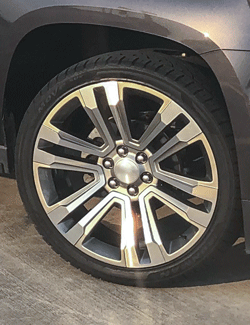 If you like the styling of the original Mustang Cobra R 4 lug wheel, this deep dish wheel and tire combination is a perfect fit for your 3rd generation Ford Mustang. 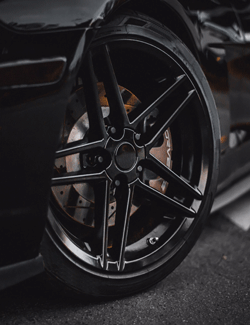 This set of four anthracite 17x8 rims with a machined lip is guaranteed to fit stock Ford Mustangs from 1979-1986 (also known as four eyes), and all stock Ford Mustangs from 1987-1993 (also known as the fox body Mustang). The FR04A is an injection fed aluminum bullit rim, and is covered by a lifetime structural warranty.